Philips N.V. is a large electrical/electronics company based in Eindhoven in the Netherlands. Philips made just one known film camera, the 1950s' Philips Box Flash. 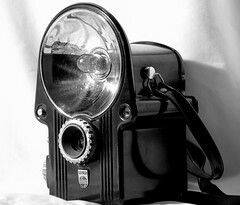 This may had been made to improve sales of their own brand of flashbulbs, the product for which Philips' name was mainly known in the photography market. 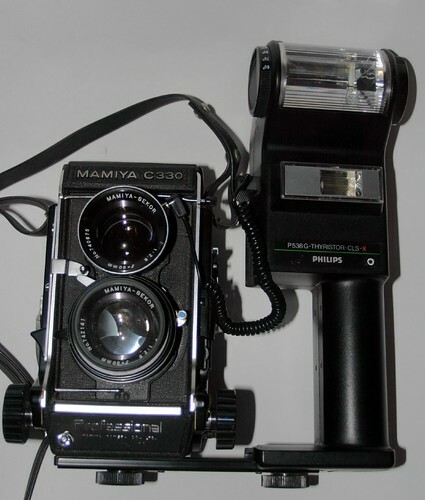 Later Philips also sold electronic flashguns. In recent years its products have included video cameras, webcams, and some digital still cameras. Philips became a CCD maker. This page was last edited on 10 February 2014, at 16:52.